Popular email marketing tools such as campaign monitor and mail chimp help organizations use white hat servers to easily send out beautiful email marketing campaigns that land in inboxs. Segments allow you to create lists of subscribers and have them organized by newsletter signups, contact form signups, tradeshow signups and more. The reason for creating segments is to have targeted email-marketing campaigns for specific audiences. Delivering personalized content to each customer is proven as a best practice to portray your brand with it’s most relevant message for your subscribers. Beyond segments is the creation of custom fields on your subscriber forms. Many times you may just want to capture and email address but if this subscriber is using a SaaS solution on your website you can use API’s to tie in all other relevant information for the subscriber. Gender, age, location and other custom fields help you target your email marketing campaign even further sending that perfect message for the right audience. After you have sent your email marketing campaign is its important to review your insights! 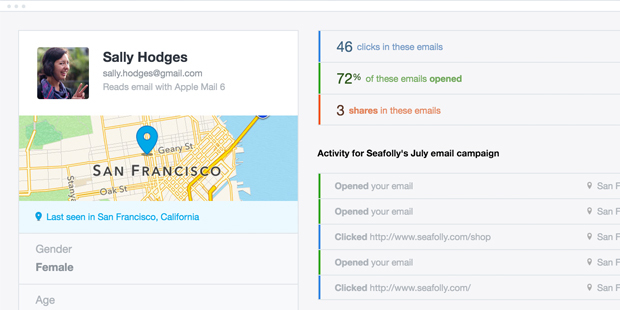 Review your KPI’s for clicks, percentage of emails opened and number of shares. You can always grow your audience by tying into social networks, website signup forms, mobile apps and importing your lists/subscribers from other programs such as outlook, simply accounting or quicken. Looking to send a nice newsletter for the holidays? Feel like you need to keep your customers in tune with your business? Reach out to Red Cherry to learn more.